Yesterday, I reported that UNRWA-USA communications director Laila Mokhiber took down her Twitter account after it was found to have anti-Israel posts that violate UNRWA’s standards. It appears that nearly all of UNRWA-USA workers have now made their Twitter feeds private, frightened by what others would have discovered that would embarrass their already embarrassing agency. But not before I took some screenshots from the feed of one of them. 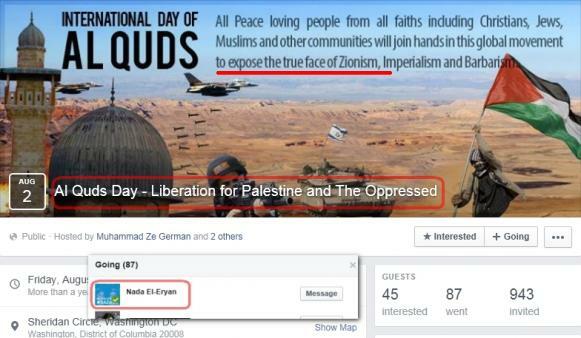 Nada El-Eryan, grants officer at UNRWA USA, is another UNRWA worker in America who proudly shows how anti-Israel she is. Nada does not mention UNRWA as her employer on Twitter, and she says that what she tweets are not the views of her unnamed employer. But she does describe herself as a “Palestinian American activist” which pretty much shows how she cannot be considered objective. 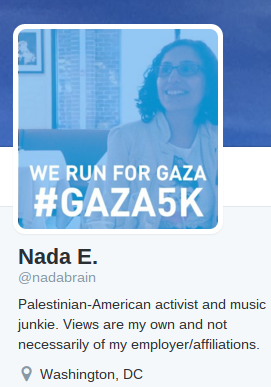 Her timeline also makes it clear she works for UNRWA even if she doesn’t want to say so explicitly. 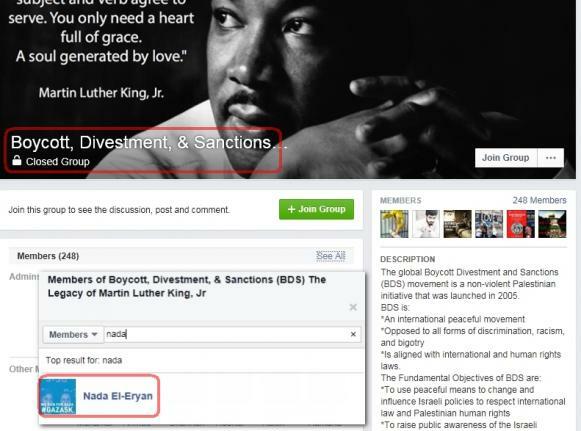 If Laila Mokhiber was forced to close her Twitter account by supporting “Israeli Apartheid Week,” then Nada El-Eryan has shown that she is equally partisan while celebrating her association with UNRWA on Twitter. And this is directly against UNRWA’s stated mandate. A very strong indication of where UNRWA’s sympathies lie.